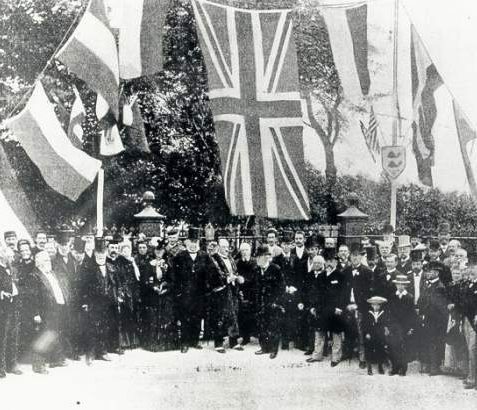 Opening of Queen's Park, 1891: The presentation of Queen's Park to Brighton Corporation as a public park. 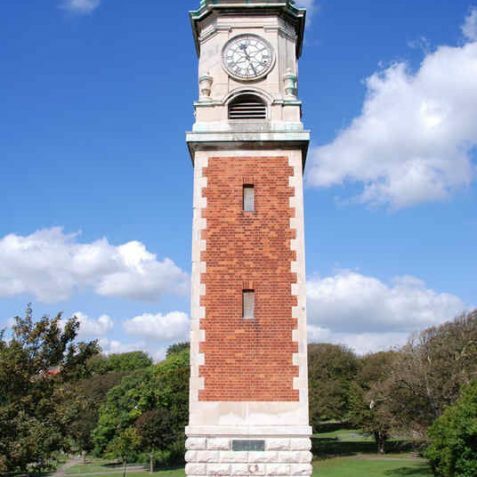 Photograph Copyright Evening Argus. 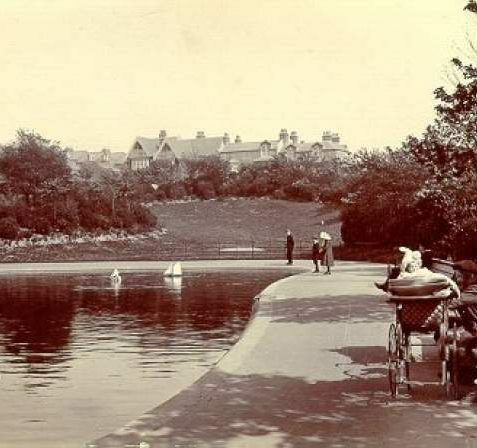 Queen's Park, Date unknown: View of the pond in Queen's Park. 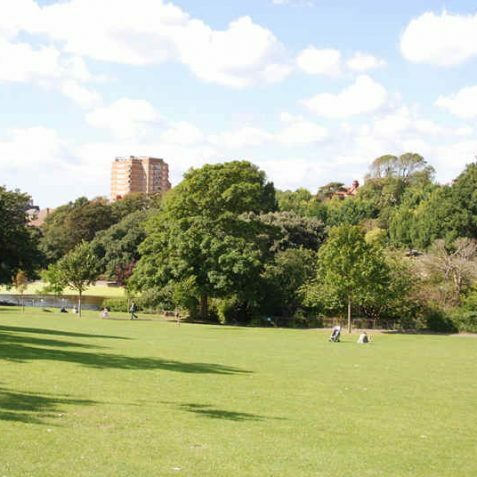 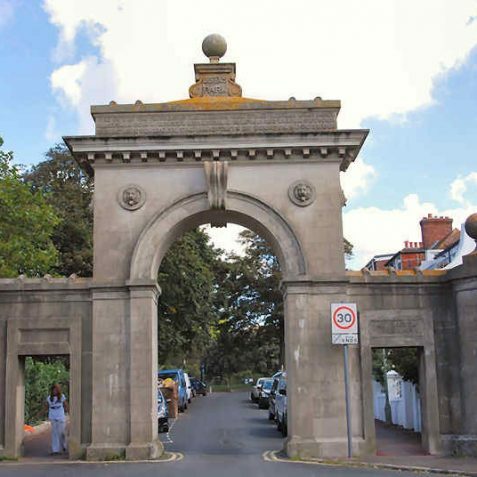 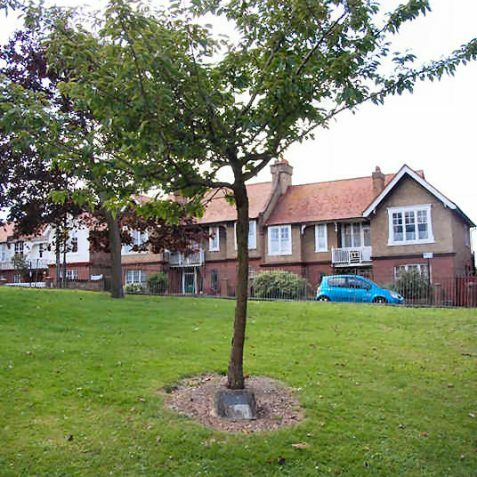 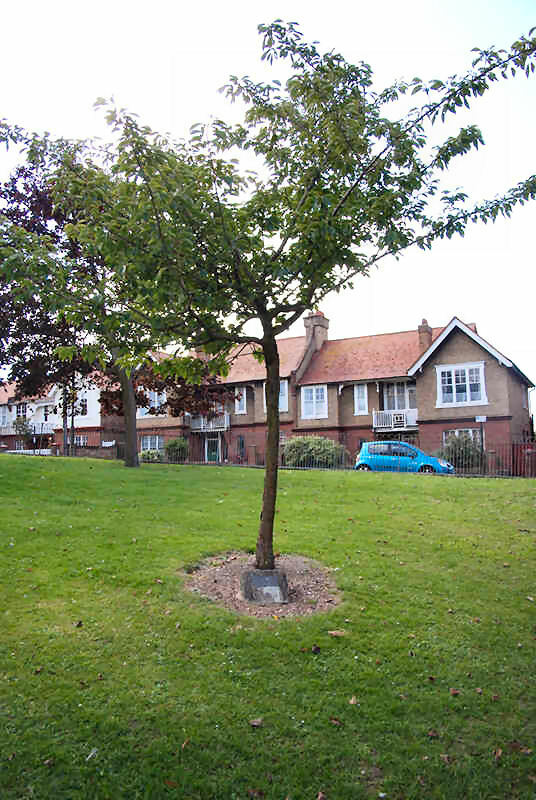 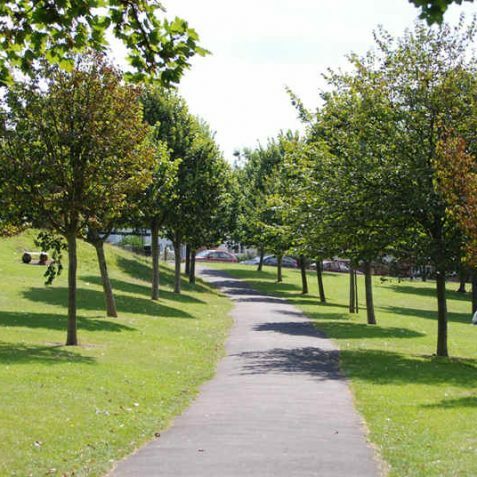 a) THE PARKS The principal ornamental park of eastern Brighton covers 15.32 acres, and was first laid out in 1824 for a Mr Armstrong as a subscription pleasure garden known as Brighton Park, with entrances at Park Street and Egremont Place. 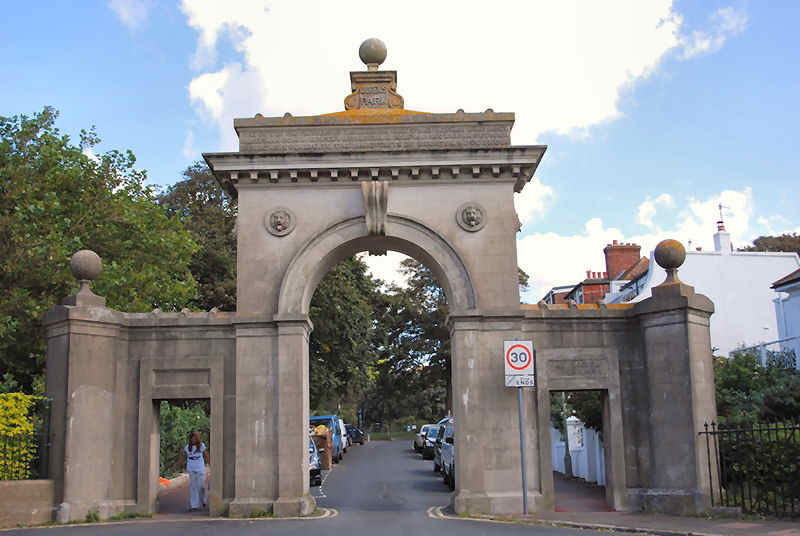 It was acquired, probably the following year, by Thomas Attree who in 1829 commissioned Charles Barry to design the two formal entrance arches and a villa residence (see below). 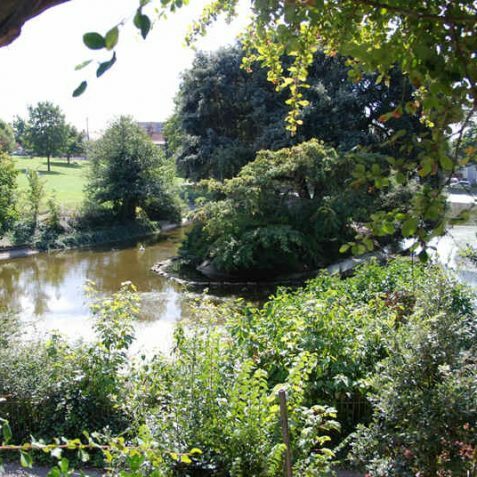 In 1836 Attree renamed the garden Queen’s Park in honour of Queen Adelaide. 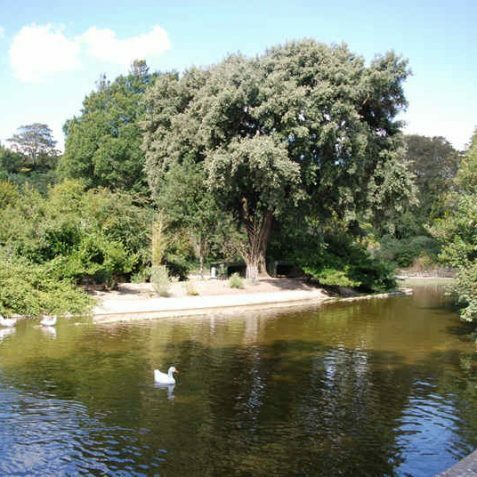 Among the attractions provided were an aviary, and later a roller-skating rink. 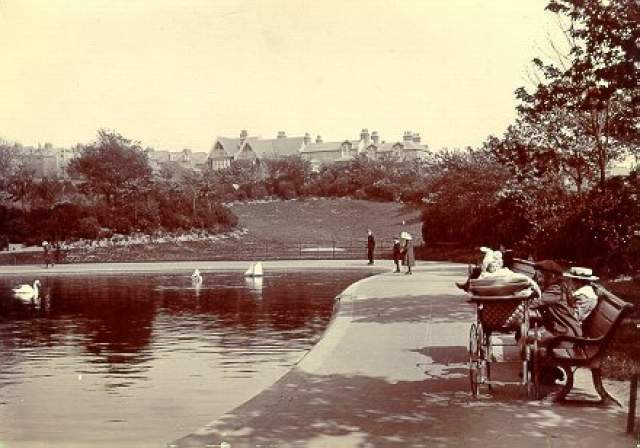 In 1888 the trustees of George Duddell, the purchaser of the Attree estate, auctioned the park but it failed to sell. 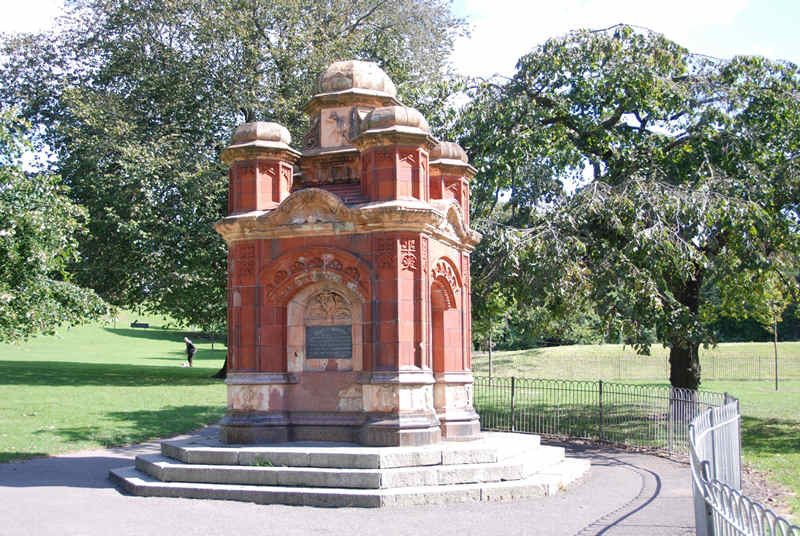 After prolonged negotiations it was purchased in 1890 by the Race Stand Trustees, William Burrows and Aldermen Abbey, Brigden and Ridley, for £.9,504, and was presented by them to the corporation in March 1891 for use as a public park. 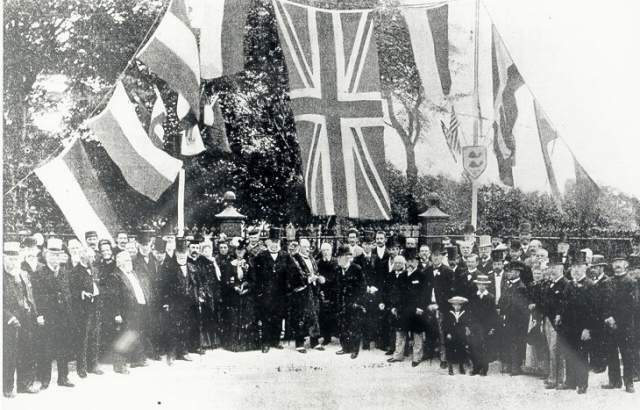 It was then laid out for £12,000, including a further gift of £4,000 from the Race Stand Trustees, and was formally opened to the public on 10 Alumni 1892 by the mayor_ Sir Josenh Ewart. 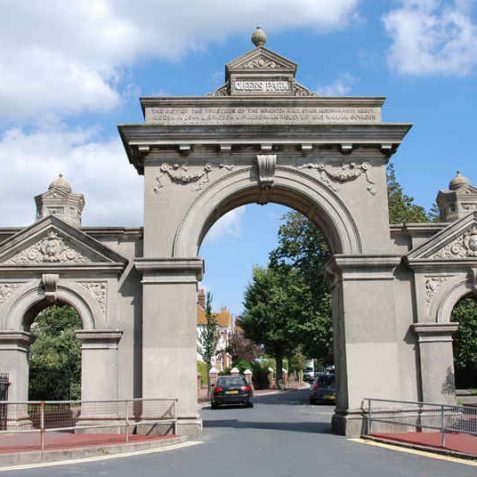 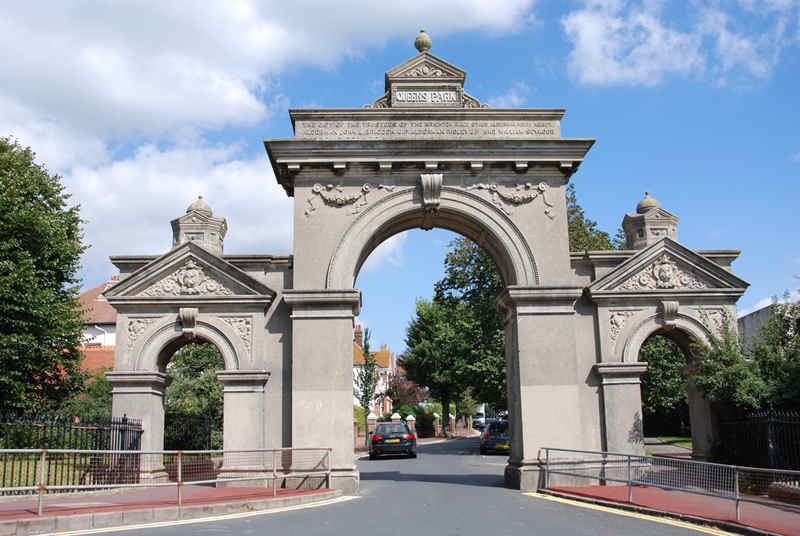 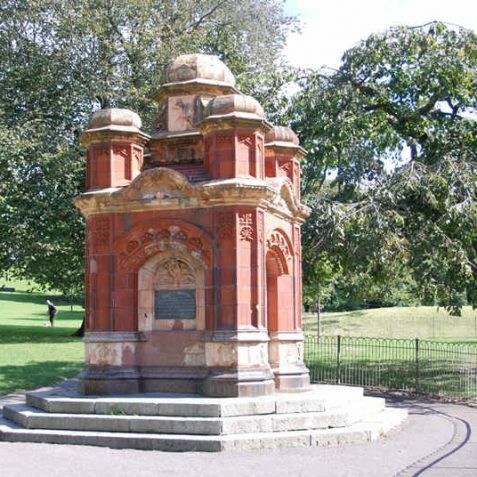 Both the Park Street gate and the more decorative Egremont gateway were rebuilt in 1890 with the names of the Race Stand Trustees added; their gift is also commemorated by the red-brick and terracotta drinking fountain to the north of the lake, a square edifice erected in 1893. 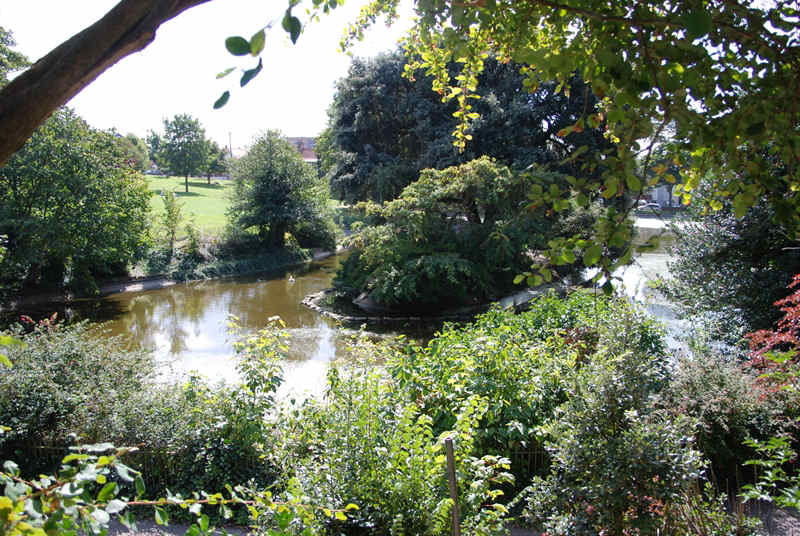 Queen’s Park is perhaps the most beautiful of Brighton’s ornamental parks. 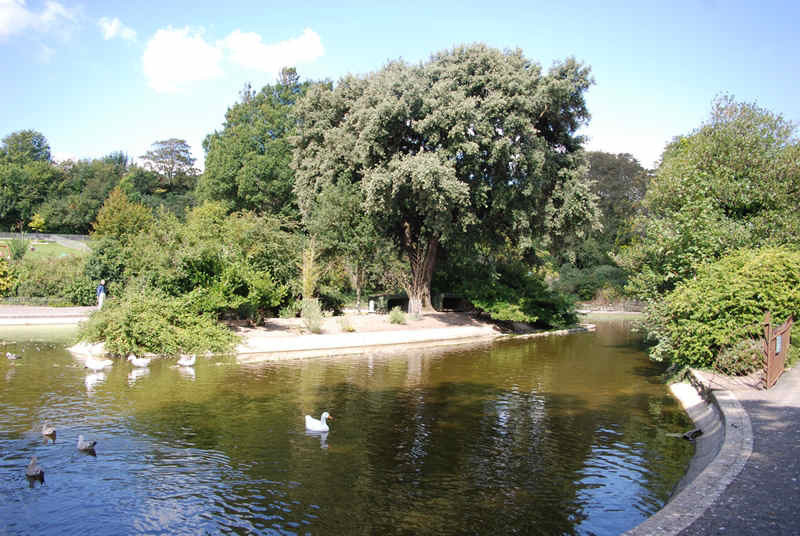 The central valley was used as a roller-skating rink in the latter nineteenth century, but it was converted into a delightful lake by the corporation, fed by an artificial cascade and stream running through a small rock garden. 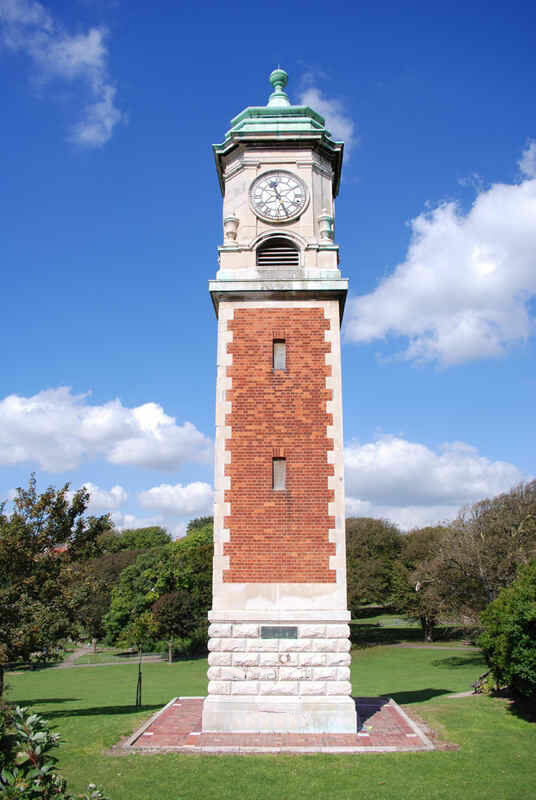 The red-brick and stone clock tower was erected from a bequest of £1,000 by William Cobley, and was dedicated by the mayor, Sir John Otter, on 24 June 1915. 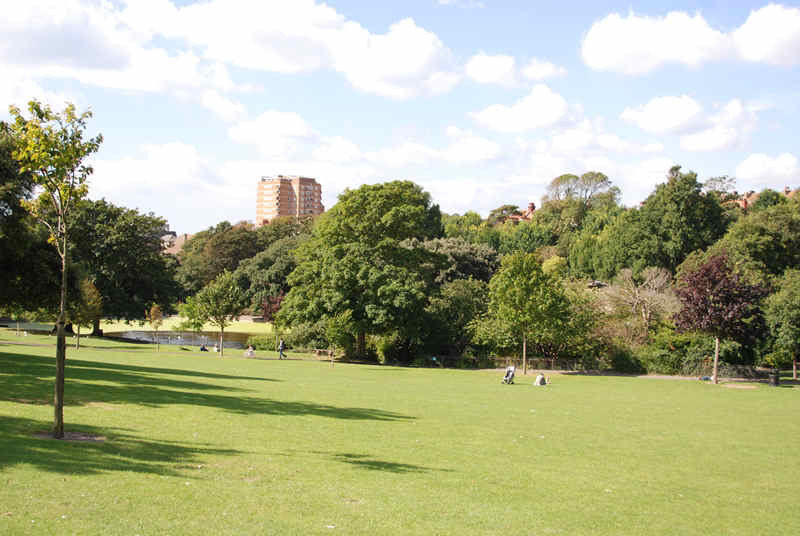 There are also a number of tennis-courts, a bowling-green, and children’s playground. 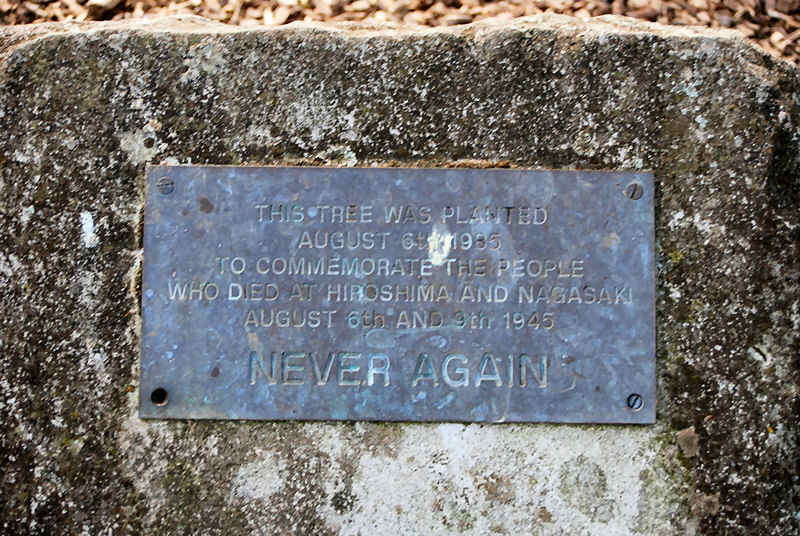 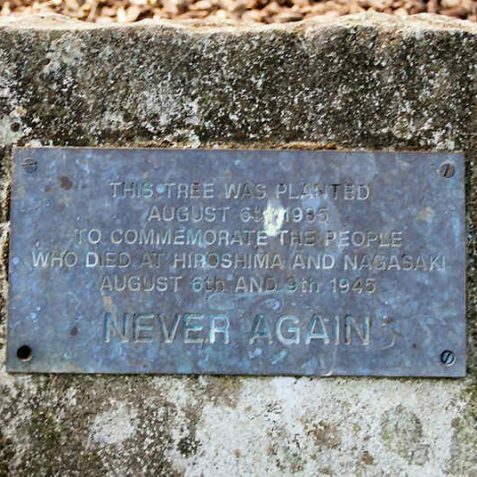 A tree in the south-eastern corner, bearing the message `Never again’, was planted on 6 August 1985 to commemorate those killed by the atomic bombs at Hiroshima and Nagasaki forty years earlier. 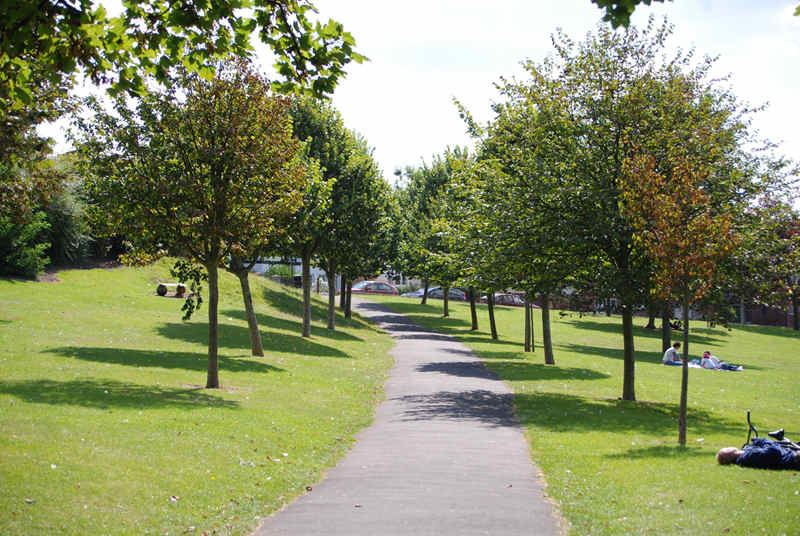 I was proposed to in this lovely park, I must return to it this year for another look, to make the year special.